The new BMW 5 Series range used to have a king up until not long ago, one that even trumped over the old M5 in 0-60 mph potency without having gone through the complete M treatment. 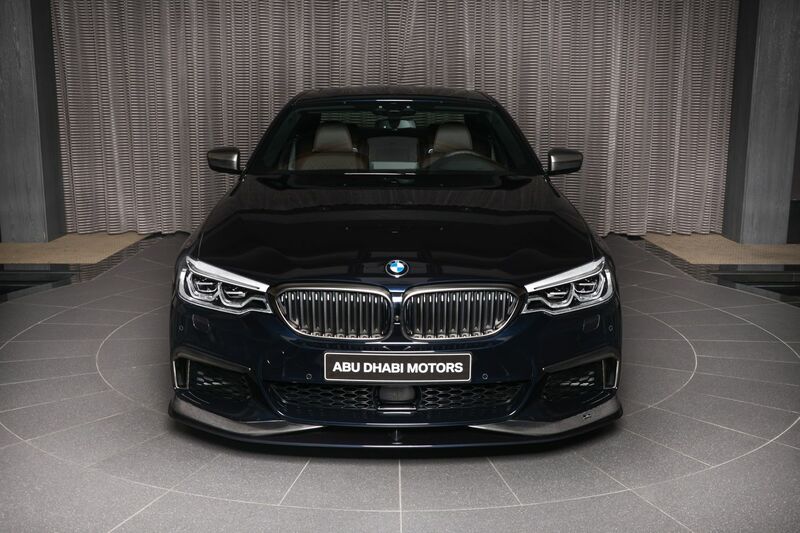 Yes, I’m talking about the BMW M550i xDrive model, the only V8-powered machine within the 5 Series range, without including the M5, which plays in a league of its own. The M550i came out with slightly improved power readings compared to its predecessor but just enough to leave us yearning for it. With 462 PS and 650 Nm of torque going to all four corners of the car from the 4.4-liter V8 engine under the hood, the M550i will do 62 mph from standstill in 4 seconds flat, faster than the outgoing M5. But while all that makes it sound like this is a racing car, the appearance of the uber-sedan makes it seem like it’s just another ordinary car, that you’ll find parked in a shopping mall’s parking lot or in front of some fancy office building. It’s this ‘sleeper’ attitude that makes me want one more than anything else, as it will take a lot of people by surprise. Not the car we’re showing you today, however, as this one arrived in Abu Dhabi wearing some goodies from German BMW tuning specialists, AC Schnitzer. What you’ll immediately notice is that the whole theme of subtlety was thrown out the window to make this Bimmer look like a proper M5 rival. 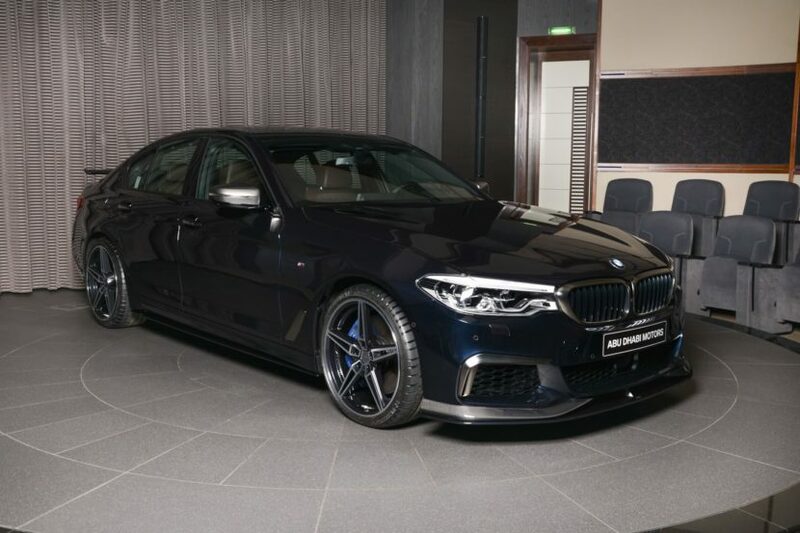 Up front we have a carbon fiber AC Schnitzer spoiler, on the sides you’ll notice the new sills and wheels while round the back the new exhaust tips and diffuser will make you wonder if this is not actually the M5. The one thing I don’t like about the way this car was configured though, is that massive wing at the back. It feels unnecessary and a bit too much considering how the car was designed in the first place.